Sound familiar? If you minister among adolescents or live with one in your home, chances are these words describe quite a bit of your daily life experience. Teenagers engage all kinds of vital life tasks in random, chaotic, and circumstantial ways. Like their friendships. And dating relationships. And homework. And probably their interactions with you. But we're not using the words random, chaotic, and circumstantial to describe any of those areas of life right now. We're using them to describe what we’ve learned from research about the prayer life of teenagers. 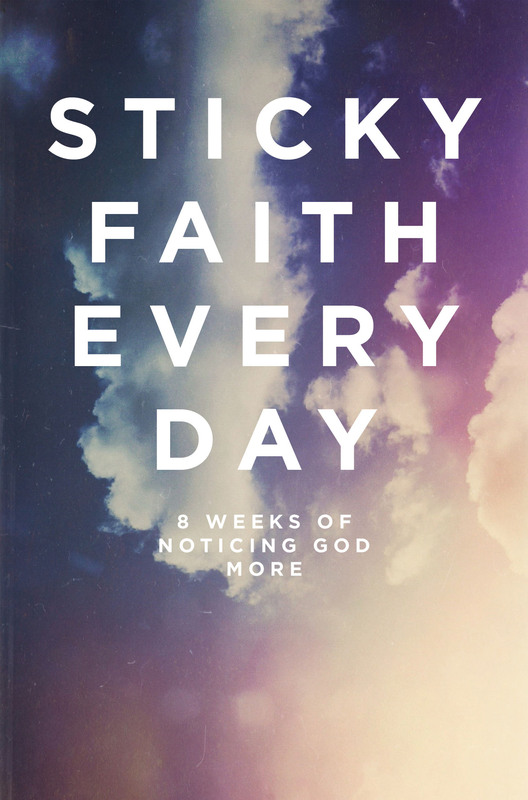 Research shows that faith practices are important to Sticky Faith. Yet often teenagers aren’t sure how to nurture their own spiritual growth. Our research at the Fuller Youth Institute has indicated that only about half of graduating youth group seniors pray once a day or read the Bible once a week. Beyond prayer and Scripture study, teenagers also don’t seem have experience with a host of other timeless faith practices that could make a difference in their everyday lives. As a follow up to the Sticky Faith research, we took a year to explore the disciplines that best connect young people with God and nurture lasting faith, in particular those that help integrate faith practices with all of life. We asked some thoughtful and experienced youth workers to join us, and a foundation generously made it all possible. Out of that exploration we’ve created a new spiritual practices resource as an entry point for youth workers and parents to invite young people to create new, or deeper, faith rhythms. Rhythms that will help them create Sticky Faith every day. We’ve created a whole new series, including an 8-week curriculum that we hope you can adapt to your context. The hope is to give you a structure you can utilize to help students reimagine and re-engage spiritual practices as a way to notice God more every day, long beyond the series itself. We want young people to initiate a lifetime of engaging God. Because Lent is a set 40-day period in the church calendar leading up to Easter and is practiced across various denominations, we invite you to harness Lent as an opportunity to engage students in new practices. You will see some of these themes built into the progression of the curriculum from week to week. But you certainly don’t have to use this alongside Lent; it could be a separate series or reworked for a week of camp. We’re excited about helping you rethink the spiritual formation of young people and truly help them develop an every day faith. Maybe this time next year those words random, chaotic, and circumstantial won’t be the best words to describe teenager’s faith after all.